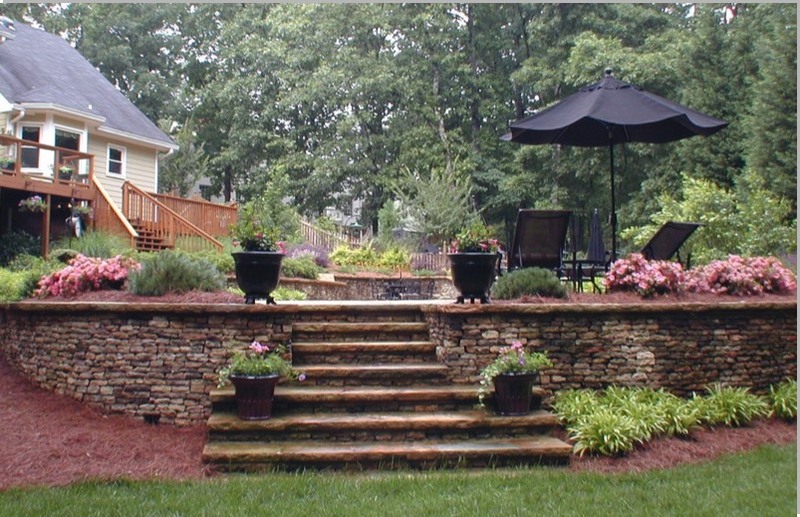 Walls terraces pretty walls planter boxes seating terraced courtyards integrated steps. 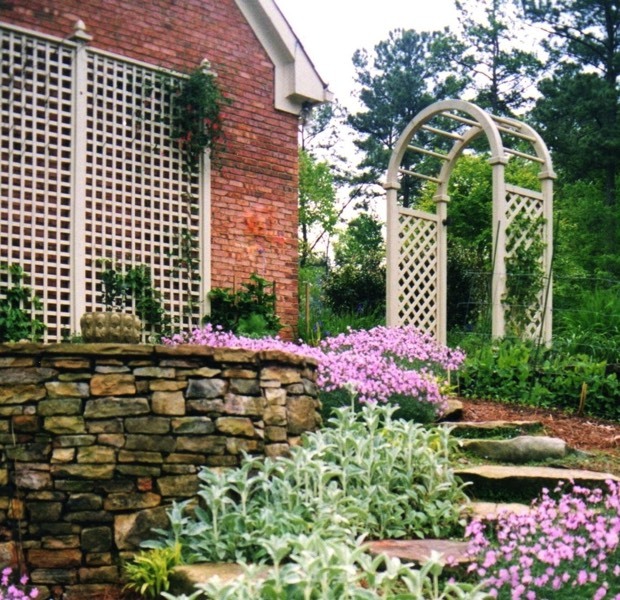 Walls and terraces are costly. 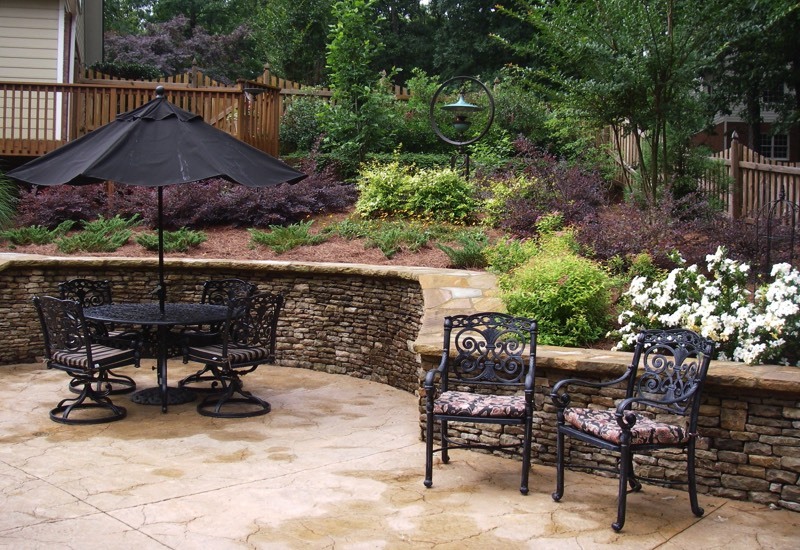 If you are on a limited budget, we will likely attempt to find a solution that does not require walls. 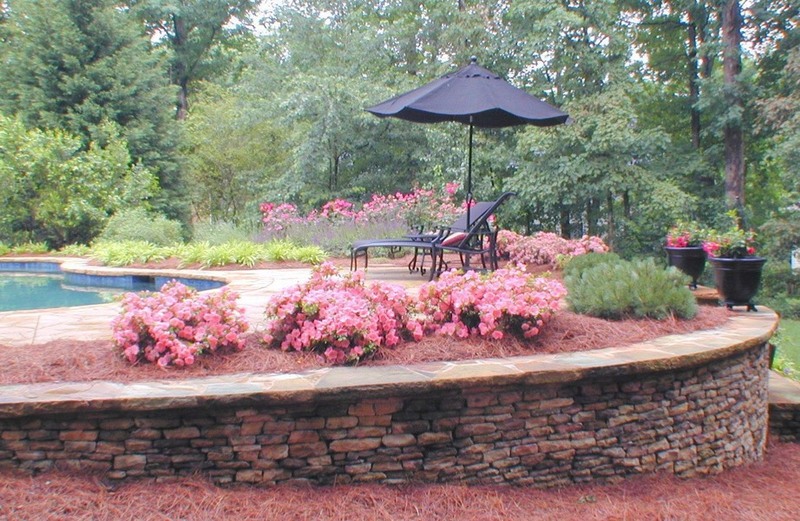 When they are affordable, they do wonders in reclaiming usable space as well as providing such a beautiful focal point. 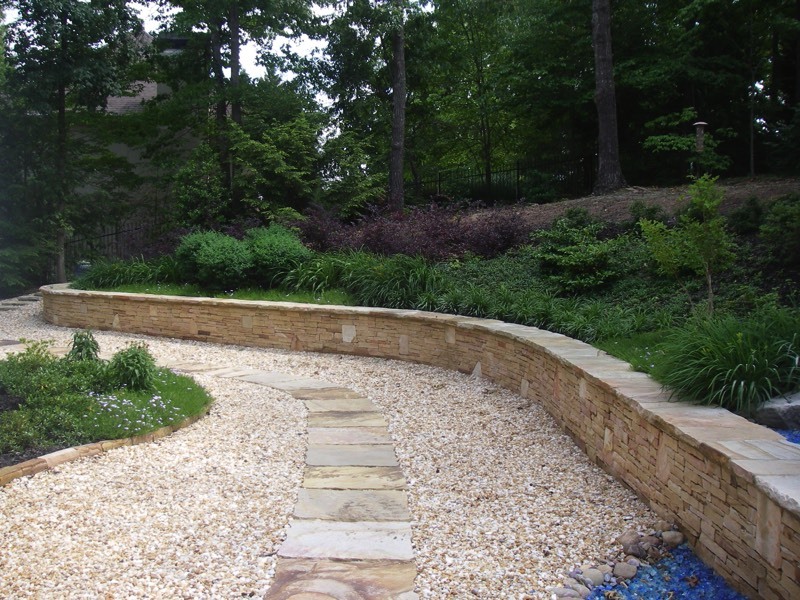 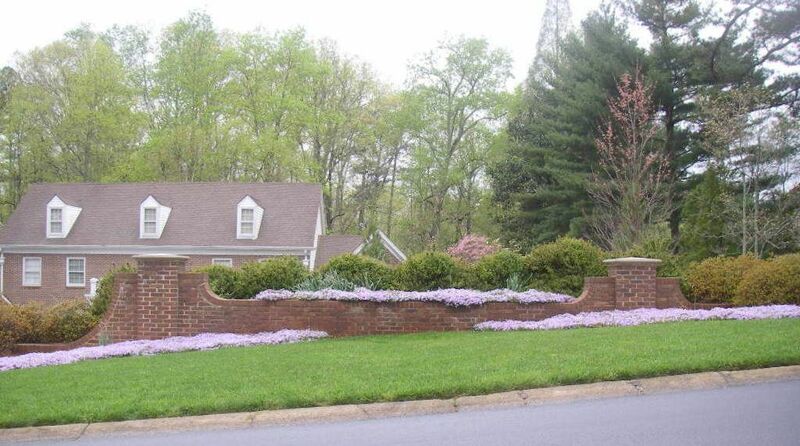 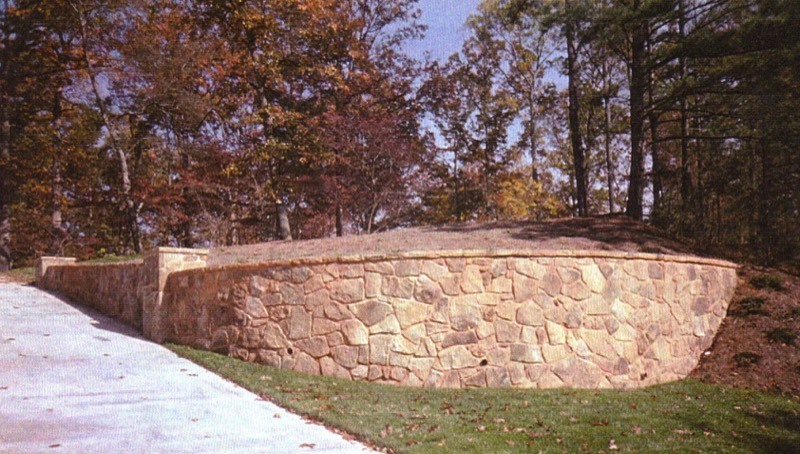 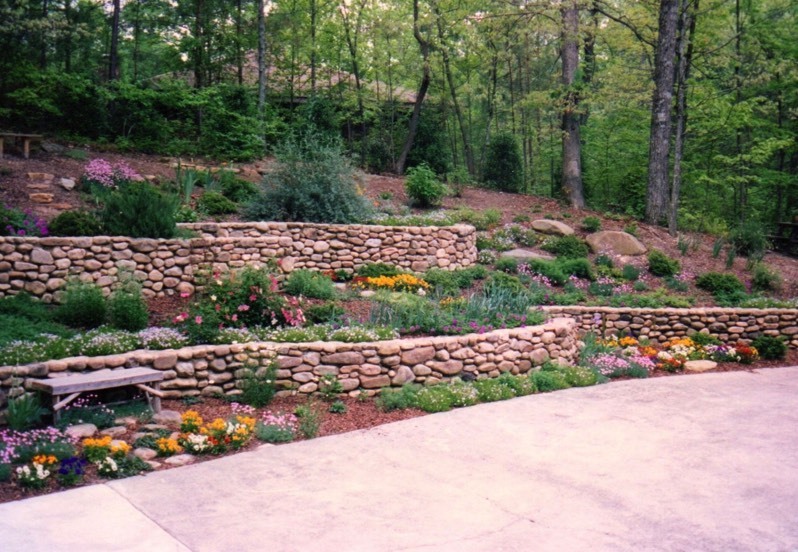 As licensed landscape architect and building contractors, we will assure that your walls are built to last. 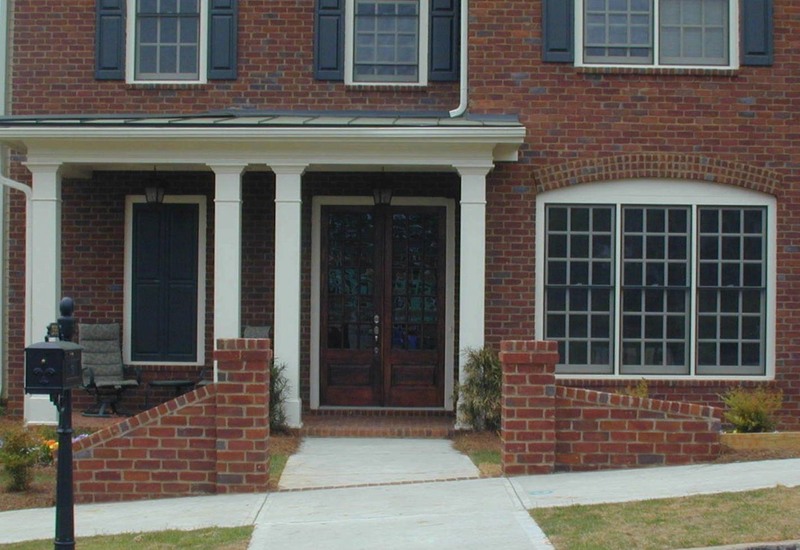 Many will require a building permit and engineer’s stamp which we can handle as well. 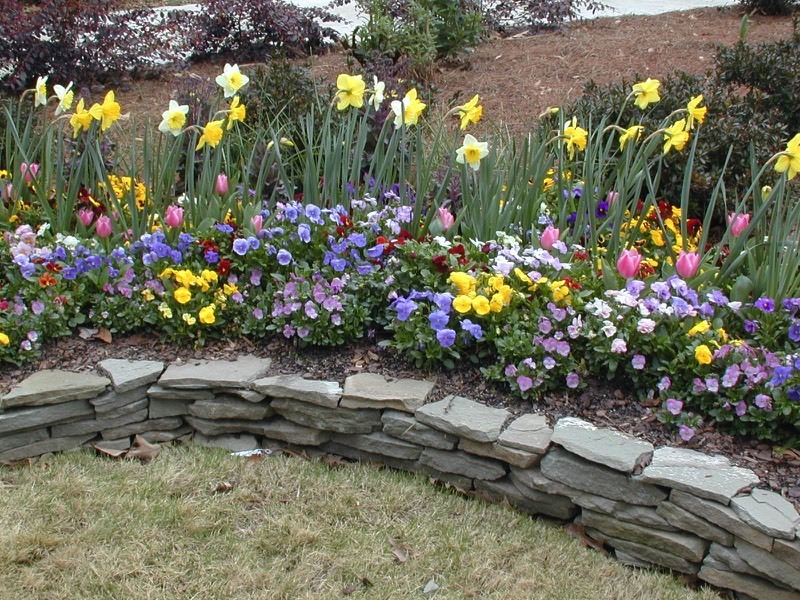 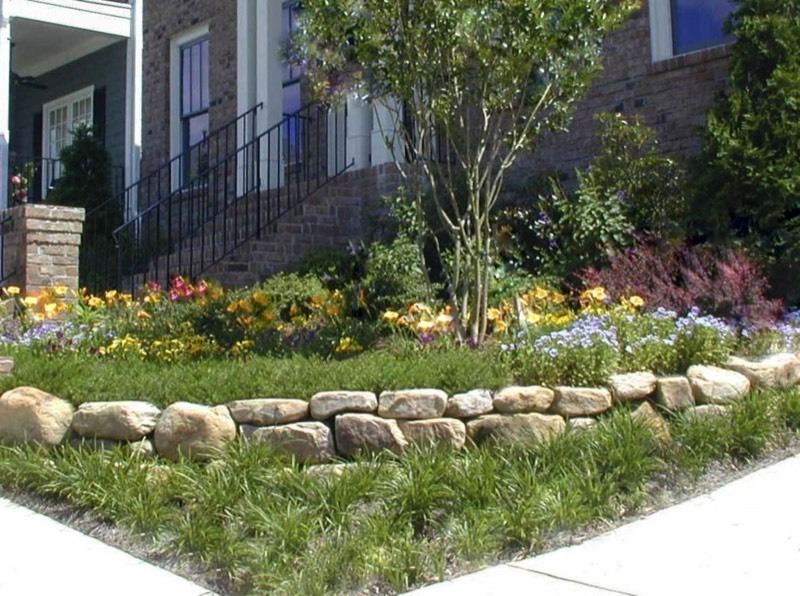 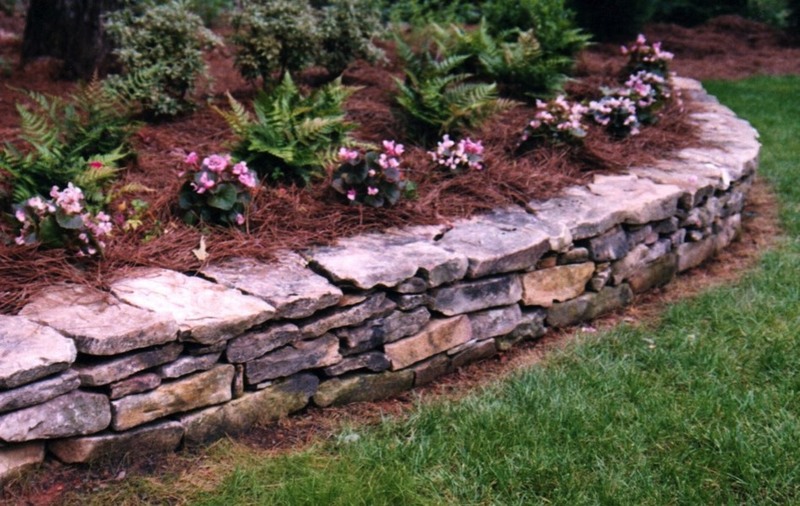 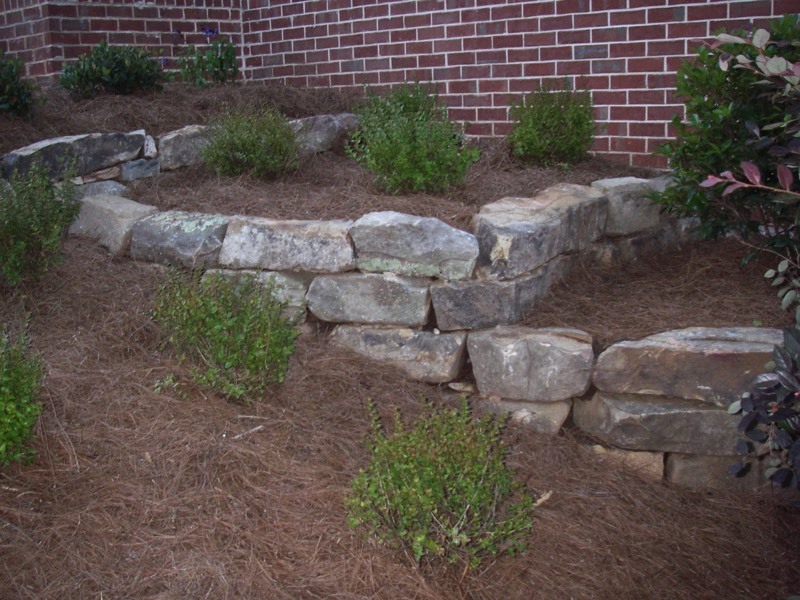 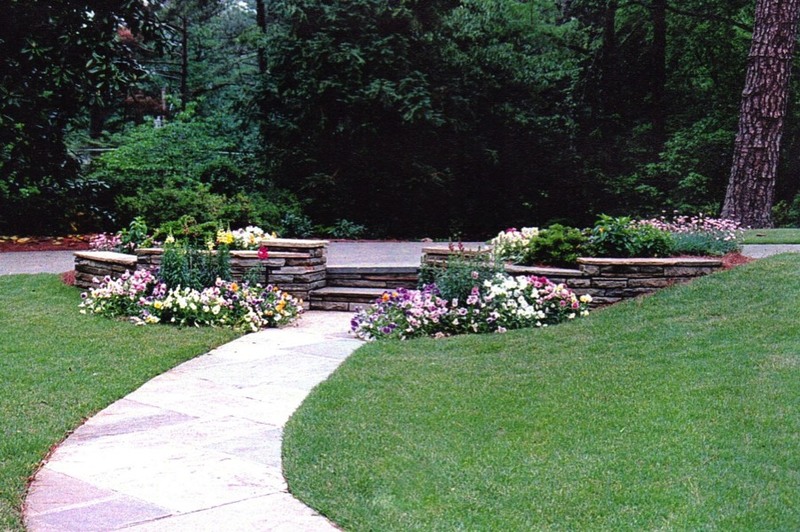 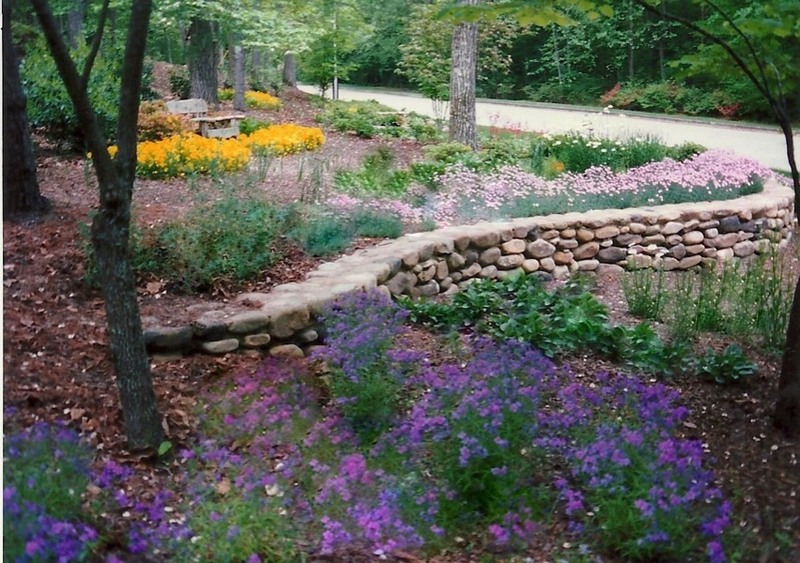 Walls can be as simple as a low dry stacked stone used as an accent for a flower bed. 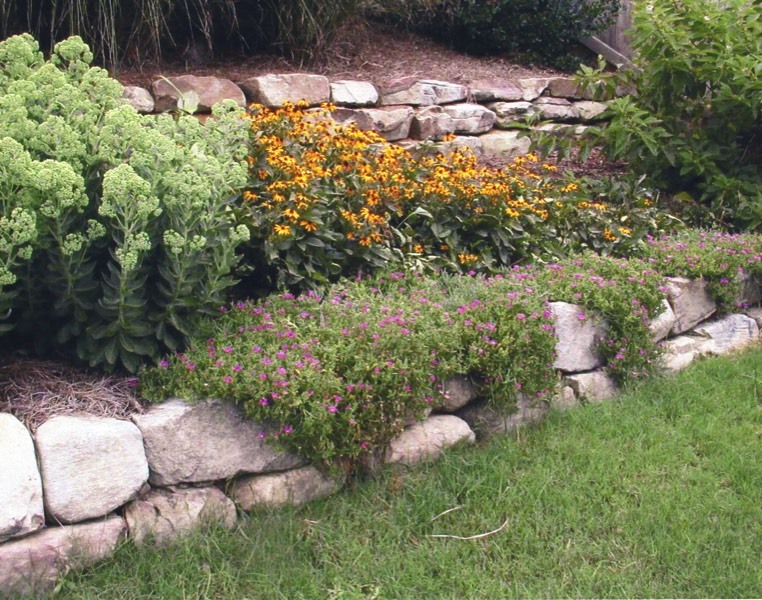 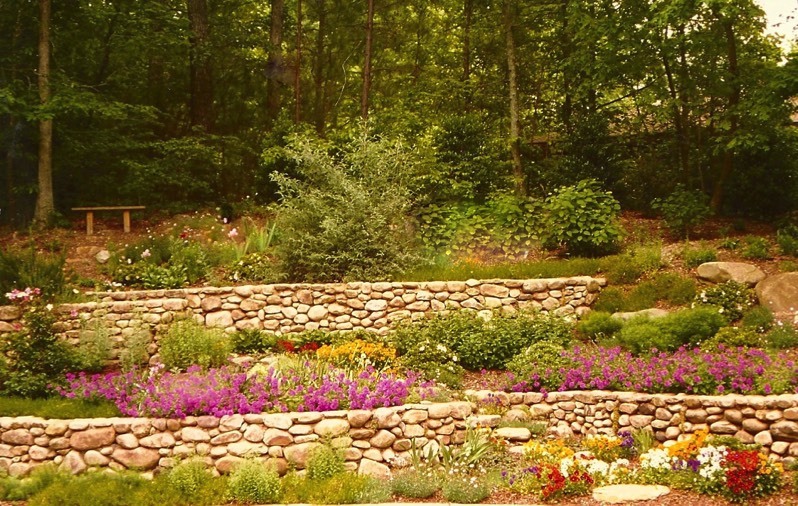 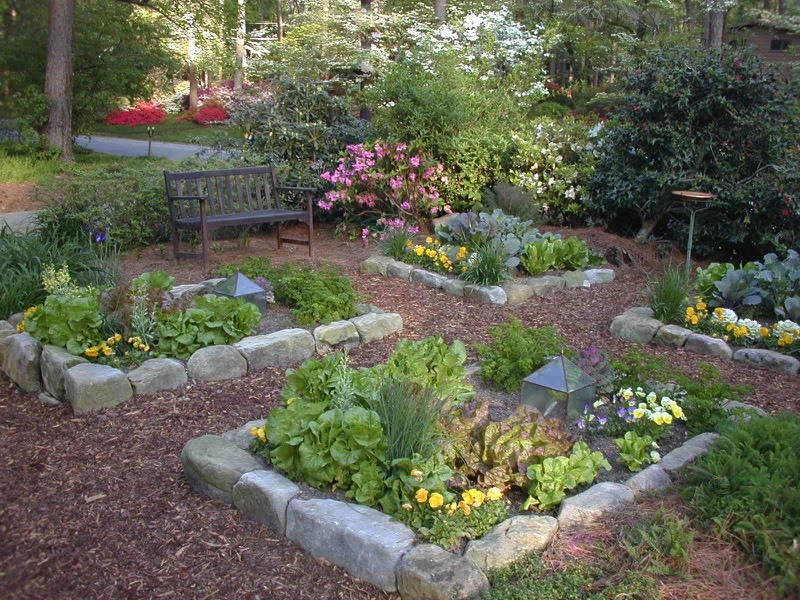 Dry stacked boulder walls make wonderful raised beds and low terraces for landscape or vegetable gardens. 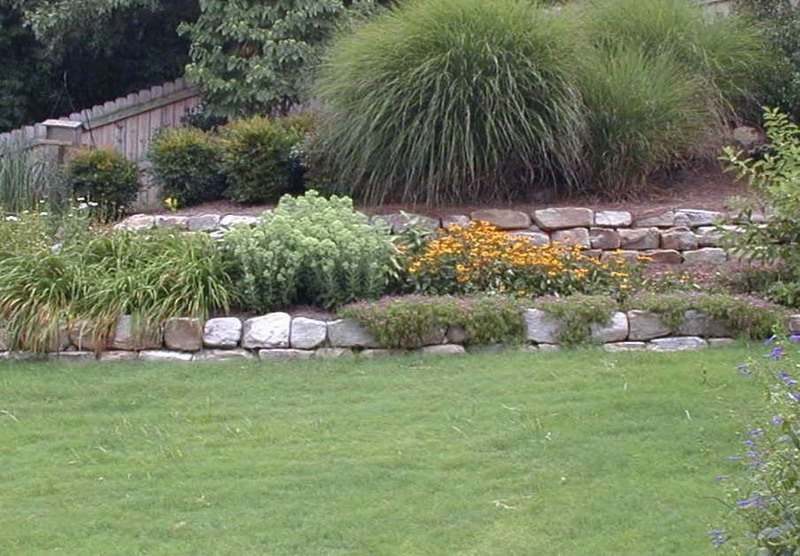 Slopes requiring taller terraces will have masonry built stone or brick retaining walls. 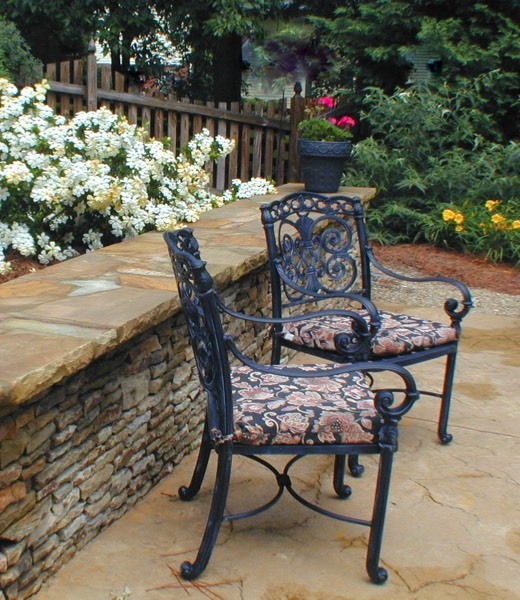 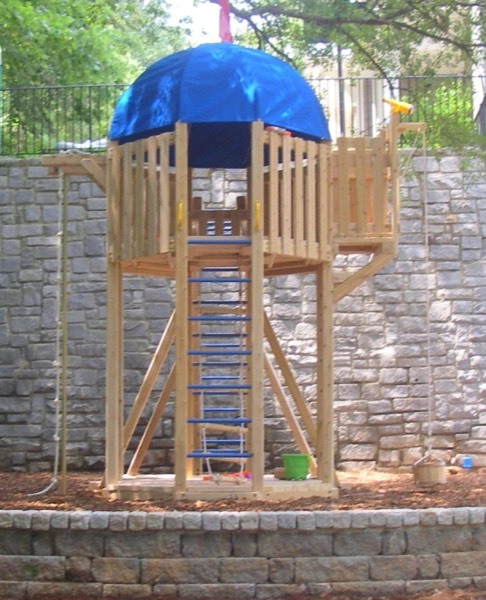 Granite block, modular block, and wood timbers are also nice choices. 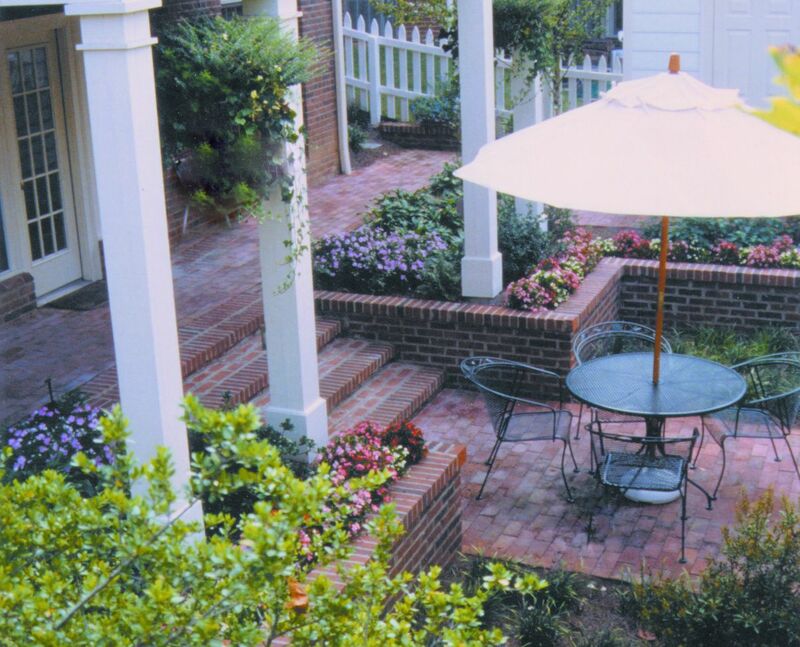 See pretty walls that we’ve created of all heights, shapes and uses including planter boxes, seating walls and terraced courtyards with integrated steps. 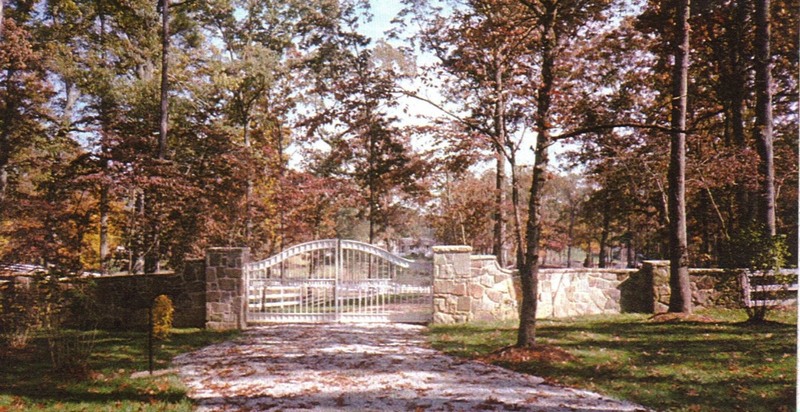 We even do estate entrance walls that often act as fences with many of them being used as a gated entry across the driveway. 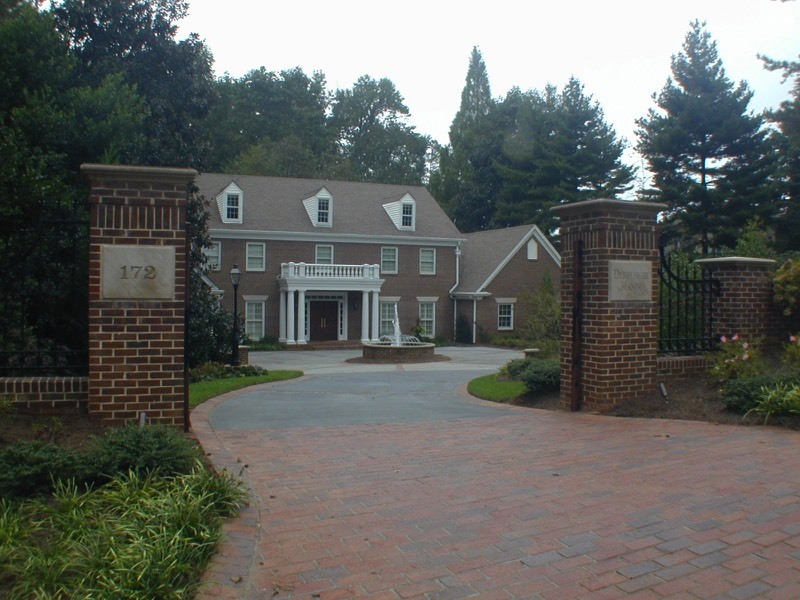 These tall walls usually have accent columns, wing walls, integrated mail boxes, address plates and limestone caps.